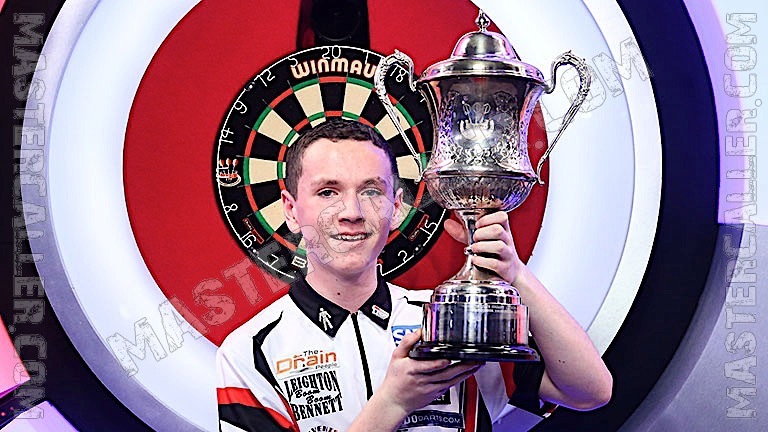 The final of the Lakeside Youth World Championship 2019 will be held in between thirteen-year-old Englishman Leighton Bennett and sixteen-year-old Scot Nathan Girvan. Bennett writes history as the youngest winner ever to win the youth World Championship at Lakeside. He beats Girvan 3-0 and is allowed to put the accompanying trophy in the air. For Girvan it’s the second time he loses the final after 2017.